Enterprise IT is now fixed at the core of the business and remaining barriers between IT and the business are coming down quickly. IT is transforming now and we are witnesses, but who will be active participants and who will be passed by?  Read on to discover how modern IT organizations transform to achieve IT 3.0.